Make the most of what the modularity provided by the zoneless horiZone cooking space has to offer with two additional induction zones. Be they small or large, wide or oval-shaped - no pan will be able to resist this outstanding, unusually-shaped induction hob! This 40cm x 23cm modular cooking space is the most comprehensive cooking zone on the market. Wide, oval, rectangular... it can accommodate cookware of all shapes and sizes, from 23cm frying pans to 40cm oval casserole dishes. With a simple touch on the dedicated button, De Dietrich induction hobs provide you with instant access to power settings for searing, simmering, or keeping your dishes warm. 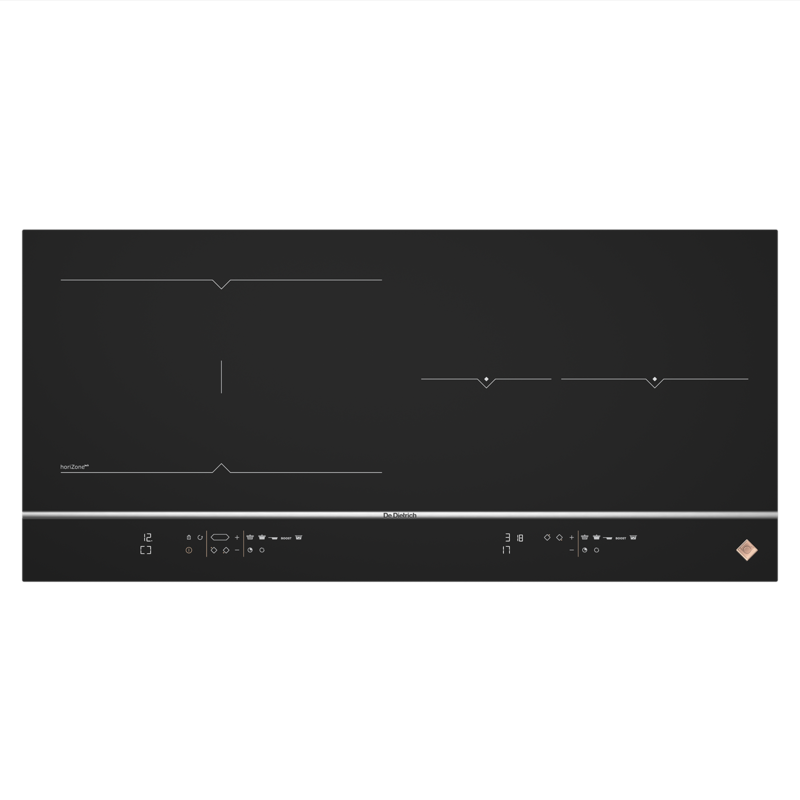 Each zone is equipped with its own timer, which you can use to programme the cooking time. This new De Dietrich induction hob is highly adaptable and flexible when it comes to adjusting its power settings. Its new digital keypad allows you to adjust the power between 1 and 20, with extreme precision and optimum legibility provided by the white LED display.